Friendly, out-going and enthusiastic! 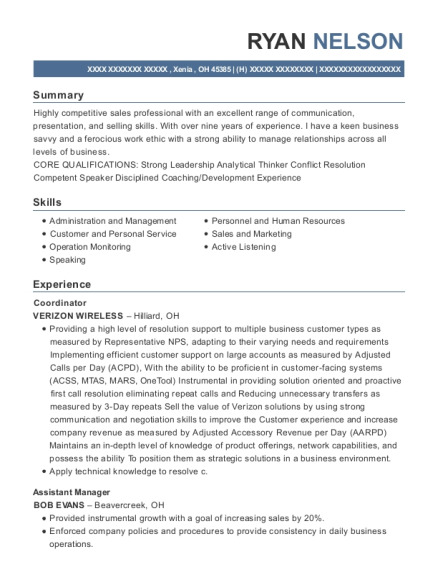 15+ years of customer care experience in various environments. Able to learn new tasks quickly, rise to challenges and proficient in developing rapport. Represent establishment with friendly, professional demeanor at all times. Delivering North Carolina-grown produce to 60+ members weekly. Visit individuals in homes or attend group meetings to provide information on The Produce Box services and/or procedures. Marketing in various environments including local events, tastings at businesses/apartment complexes/local pools, and public events such as 5K races or health fairs - representing the company in a positive light while interacting with hundreds of people to explain becoming a member. Providing customer care and developing rapport with members - available to answer questions or address any concerns. Review existing or incoming mortgage documents for currency, accuracy, usefulness, quality, or completeness of documentation. Handle lender complaints and take appropriate action to resolve them. Work with lenders to identify their financial goals and to find ways of reaching those goals. 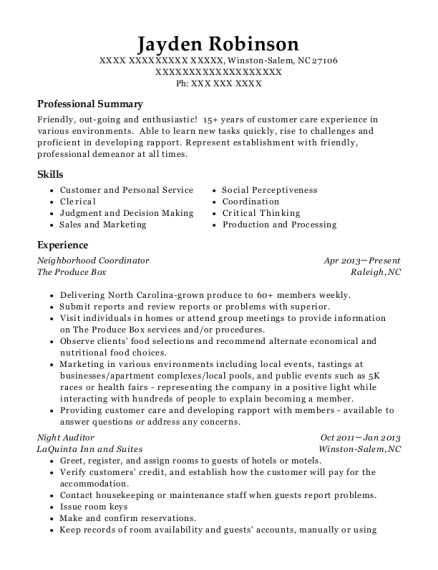 This is a resume for a Neighborhood Coordinator in Winston Salem, North Carolina with experience working for such companies as The Produce Box and LaQuinta Inn and Suites. 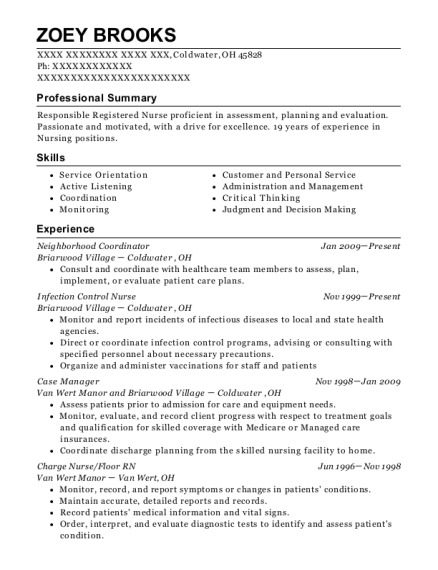 The grade for this resume is 0 and is one of hundreds of Neighborhood Coordinator resumes available on our site for free. 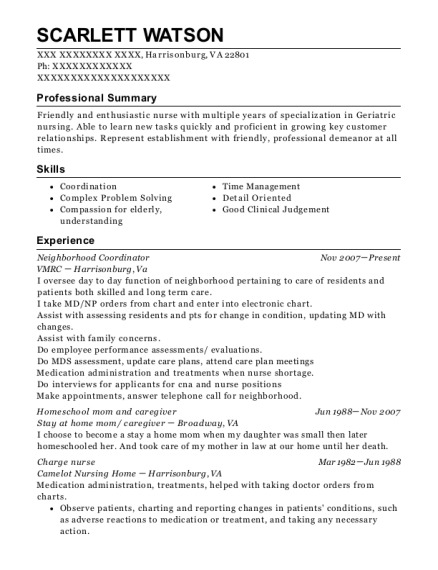 Use these resumes as templates to get help creating the best Neighborhood Coordinator resume.